What if you want to connect multiple devices to a single cable signal? There’s one problem with your cable signal. You know what? The problem is, your cable signal cannot connect to multiple devices like two televisions or one television and an Internet router. So, how can you solve this major problem? You need to use a cable splitter. 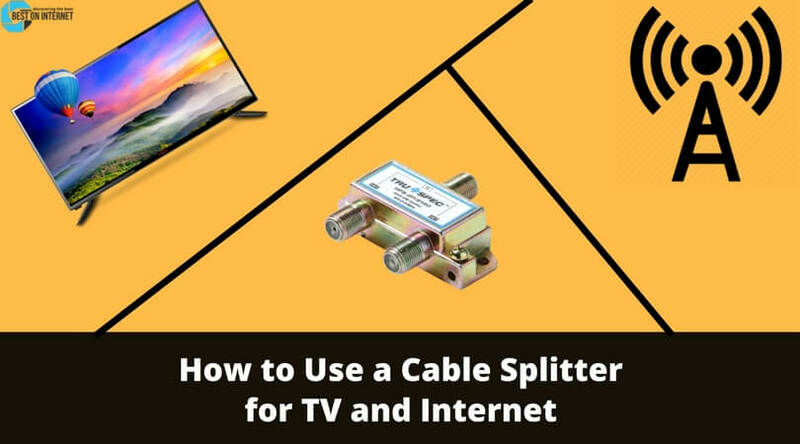 In this guide, I’ll show you step-by-step how to use cable splitter for the Internet and TV. So follow along. With cable splitter, you can connect 2,4,8, or even 16 devices at a time. The main purpose of a cable splitter is to connect with your main coaxial cable and supply power to multiple devices. Find out your main incoming cable coming to your house. Once you find it, connect the cable output to the splitter input. You’ll see a black or silver connector on your cable which you need to connect to your splitter. Now that you have connected your main cable to the splitter, you now need to buy extra cables for your Internet and TV. Next, you need to connect all those coaxial cables to the splitter. Measure the size before buying the coaxial cables so that you don’t waste the extra money. While connecting your cables with a splitter, you need to see that you are connecting your cables with the female connector on the splitter. Here you can connect multiple devices to one splitter cable. The final step is to turn on the receiver of the main cable, and you’ll see all your devices running under one cable splitter. Do note that, you need to turn the main cable connector on the right side and fit in the screw to let everything function properly. I hope you now know the solution of how to use cable splitter for TV and Internet. If you have any further doubts about connecting your cables and buying a splitter cable, then do leave a comment down below and I’ll answer it.